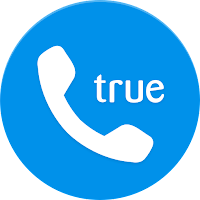 TrueCaller is an app for smartphones that shows the user who is calling when they call, even if the caller is not in user's address book. It gives you information about callers who are beyond your address books like marketers and spam callers. It can also block unwanted calls, preventing you from being disturbed with unnecessary call rings. The app is becoming quite popular with dozens of millions of users. It is quite efficient in identifying and eventually blocking unwanted calls and in matching names and numbers. Now before installing it right away, read this article to the end. Your decision might be slightly more complex. The app runs on Android, iOS, Windows Phone and BlackBerry 10. It requires Internet connectivity to run - WiFi or mobile data. The interface is quite simple and intuitive. It does not have tons of features and does not need to because it does the few things it says it will do, as we see below. TrueCaller works first and foremost as a super-powerful caller ID app. It tells you who is calling, whoever the caller might be and wherever they might be from. You will no longer see things like 'Anonymous' or 'Private Number' on an incoming call. You will also be saved from the disturbing commercial calls or calls from wet blankets. More than just identifying unwanted spam callers and telemarketers, TrueCaller can also block them. For most of them, it does the work without you having to do anything since it has a huge directory of the telemarketers and spam callers in your region and surrounding. You can also build a black list to add to the already existing spam list. When the unwanted caller calls, they will hear a busy tone on their end, while on your side, you will hear nothing. You can choose to be notified about their calls or go totally un-notified. TrueCaller allows you to search for any name or number. Just enter a number and you will get the name attached to it, plus some other information like the phone carrier, and possibly a profile picture. It may not be accurate in certain cases, but it is in most cases. In fact, the more users there are in a certain region, the more accurate the app is in matching names to numbers and vice versa. In fact, at the time I am writing this, there are more than two and a half billion contacts in TrueCaller's directory and counting. It is important here to underline the name to number rendering feature which is quite new and revolutionary. Type a name and the app returns several matches that bring you to getting contact information or any person or organization. You can copy a name or a number from anywhere and TruCaller will find a match for it. It even does a bit of presence detection - you can see when your buddies are available for a conversation. The biggest downside of the app and the service is the question of privacy, security, and intrusion. Right from the start, especially when you learn how it works and when you go through the installation process, there is something intimidating and freaky about it. If privacy is not a big issue for you and you don't mind your links going public, you will enjoy the call blocking and effective name-number matching the app offers. But if you mind your privacy and that of others, read below. Many people I know using the app have searched their own names and numbers and got surprises. Many found their numbers with strange nicknames besides theirs' and pictures of themselves they never knew existed. This comes from finding results from other peoples' contact lists, people who have saved your number on their devices with funny names and pictures they shot without you knowing. Imagine what ill-intentioned people can do with that. TrueCaller claims that the contacts they take are unsearchable by users, which is seemingly true. But while people out there cannot search these contacts on your phone, they can search the same data in another form on their directory. So, by using TrueCaller and agreeing to their terms and conditions, you are giving away the privacy of all the contacts in your phone's contact list. Besides, this is how you often end up getting inaccurate and obsolete data about a person or a number. For instance, I found my home landline number to be an old number which I stopped using more than a decade ago. This is because data is extracted from people's address books, which are often not up to date. But the greater concern here is that your contact information is available up there for anyone to search. Whether you use the app on your phone or not, your name and contact information are most probably already processed and sitting in TrueCaller's directory, among billions of others. This without your permission. Maybe so for all contacts in your contact list. The good news is that you can enlist your name from the directory. ◆Track any Mobile number from overall INDIA, USA, CANADA, PAKISTAN and view Location on Map. ◆Block Calls from unwanted mobile phone numbers & Callers. ◆Find STD Code, ISD Code. ◆internet connection required for show location on Google map. ◆Locate a phone number, operator details, area, and state. ◆ Shows Caller Information during incoming and outgoing calls. ◆ View list of your Contacts with Area and operator name. ◆Caller Location Tracker app is completely offline. ◆ View list of your Call Logs with Area and operator name. ◆ Caller ID – Helps you identify who’s calling before answering. ◆ Simple and Best Caller Location app for your Android device. ◆ Easily Track Caller Location with this app. ◆ Free Caller Location app for your Android. ◆Mobile Location Tracker is an easy and Graphical based user interface which acts as it says. location of the caller. All location information is at State/City level only.